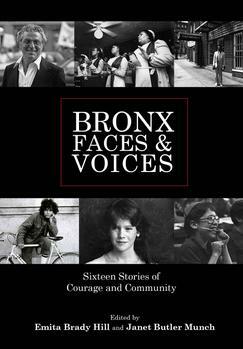 In Bronx Faces and Voices, sixteen men and women tell their personal, uncensored stories of the New York City borough—before, during, and after the troubled years of arson, crime, abandonment, and flight in the 1970s and 1980s. The voices in this volume are as eclectic as the Bronx itself: elected officials, religious leaders, and activists who were determined to preserve the beauty of their parks and stability of their community. They had the courage to stay and fight against drug dealers, absent and indifferent landlords, banks that red-lined entire neighborhoods, and a voracious media that made of the Bronx an international symbol of urban disaster. Some are no longer alive. But each of the sixteen played a positive role in a pivotal time, and they all deserve to be remembered and to have their voices heard. Portraits in this volume by noted photographers Georgeen Comerford and Walter Rosenblum document the Bronx "faces" in their beauty and diversity: young and old, witnesses to the history they lived and created.